A Catholic organization donates supplies to support Muslim women in a war torn country. 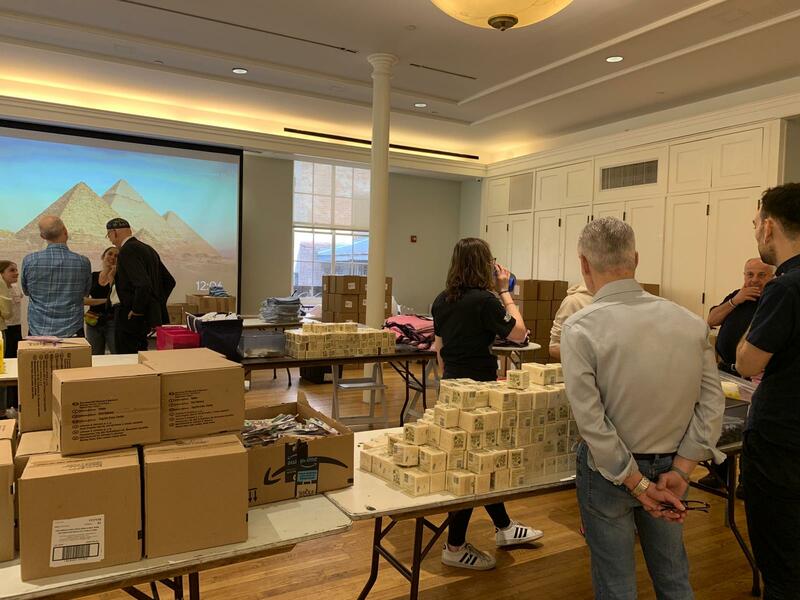 A synagogue offers their meeting space for people of all faiths and backgrounds to package the donated supplies on a sunny afternoon in New York City— people from all walks of life coming together with the common belief that all people deserve to live a life with dignity. 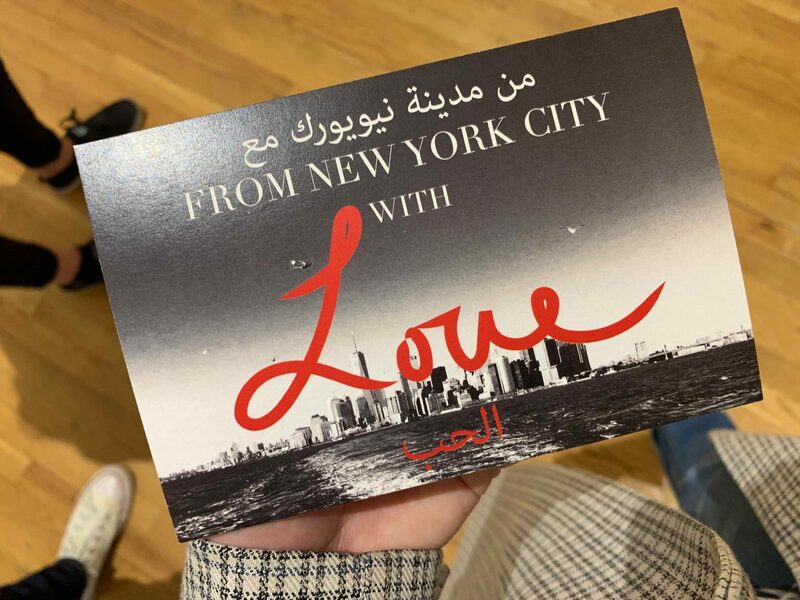 This is exactly what happened on Sunday, April 7th at the Brotherhood Temple in New York City where the Multifaith Alliance for Syrian Refugees (MFA) launched their Women’s Relief Program. For the past seven years, Syria has been embroiled in civil war. 6.6 million people are homeless as a sad result of the ongoing violence, another 5 million have fled the country, and a total of 13.5 million people are in urgent need of humanitarian assistance. The numbers are startling and the need is massive. 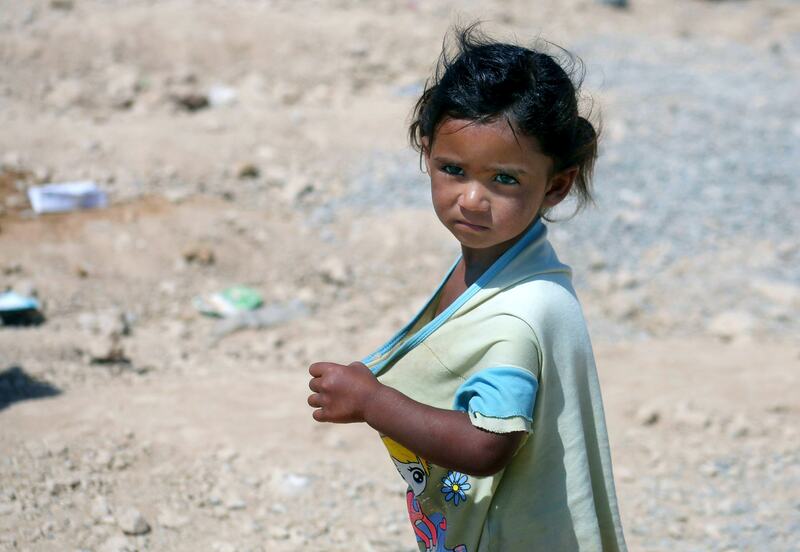 The fighting has left millions without food, medical care, and shelter. As with many conflicts, women and children have been disproportionately affected by this violence. The MFA is an “interfaith response to the Syrian refugee crisis” working to provide humanitarian aid to Syrian women, children, and communities affected by the ongoing, violent civil war. CMMB partners with the MFA through our Medical Donations Program to send essential medicine and medical supplies to Syria. Since 2017, CMMB has sent $6.7 million worth of medicine and medical supplies to Syria through MFA. The donated supplies included products to support treatment of civilian injuries due to violence and to support ongoing medical treatment interrupted by the destruction of infrastructure. MFA launched the Women’s Relief Program to address the specific needs of women in Syria— who struggle to access basic supplies like soap, toothpaste, sanitary napkins, bandaids, and for pregnant women, essential prenatal vitamins. The event held by MFA on April 7th invited people to come and help pack backpacks of these supplies to send to Syrian women. Many volunteers, including CMMB staff members banded together to get the job done quickly. 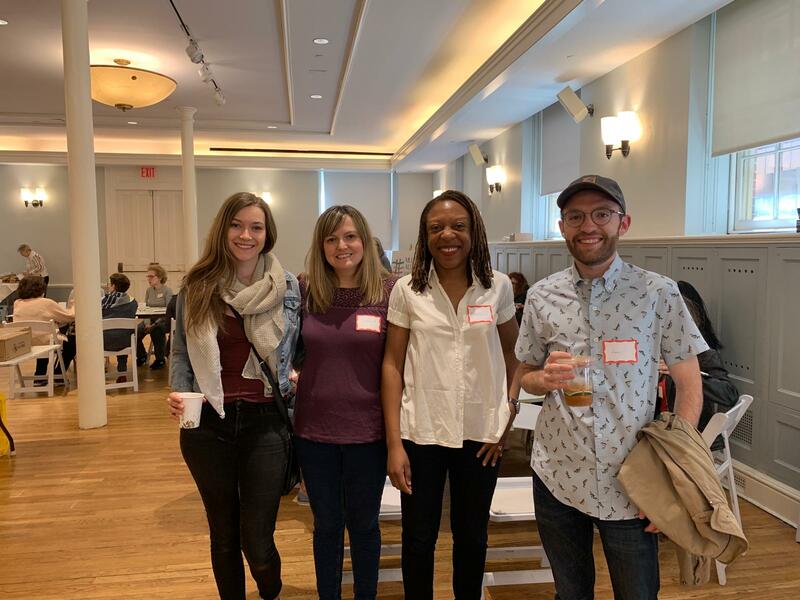 The event was held at the Brotherhood Synagogue, a former Quaker meeting house and stop on the underground railroad— a point emphasized by the synangogue’s rabbi, Daniel Alder. Rabbi Alder noted that the building and the Brotherhood community always have and always will embrace and stand with people facing adversity, regardless of faith. 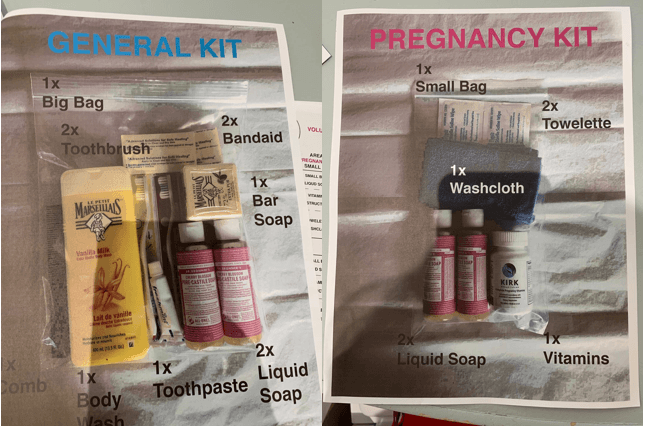 CMMB’s Medical Donations Program donated hundreds of bars of soap to include in the packages, a simple item in very high demand in refugee camps across the region. With limited access to water, making bathing a challenge, soap and other hygiene products are essential for health, but also for dignity. CMMB will also contribute by delivering the packed supplies to Syria from our Distribution Center in Long Island City. CMMB’s donated soaps stacked and ready to be packed up! 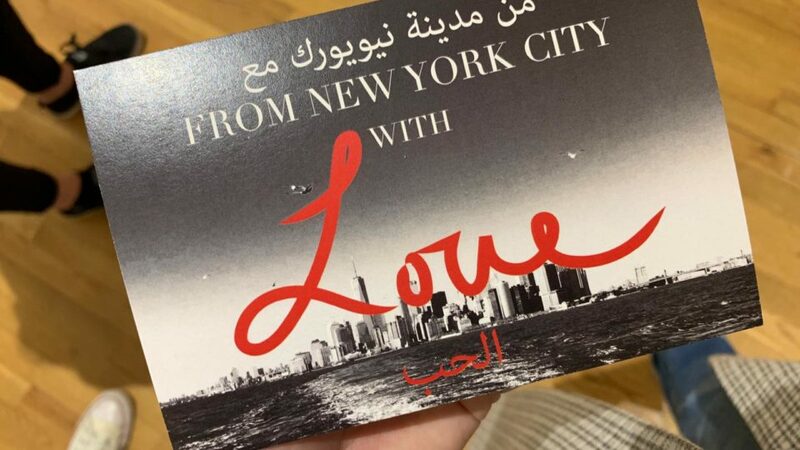 One of the most beautiful parts of the event came in the form of postcards. Every backpack of supplies was packed with a handwritten postcard from a volunteer. 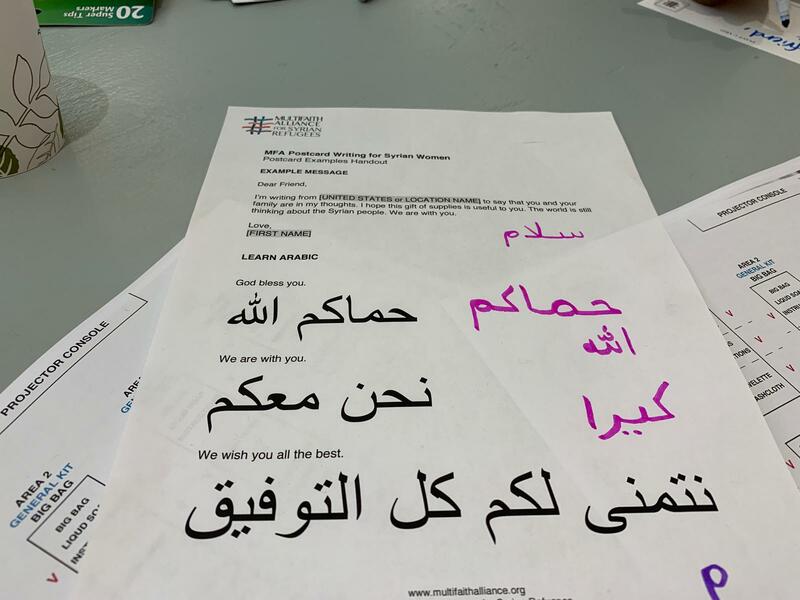 Members of CMMB staff also participated in writing these postcards with personalized messages both in English and in Arabic. 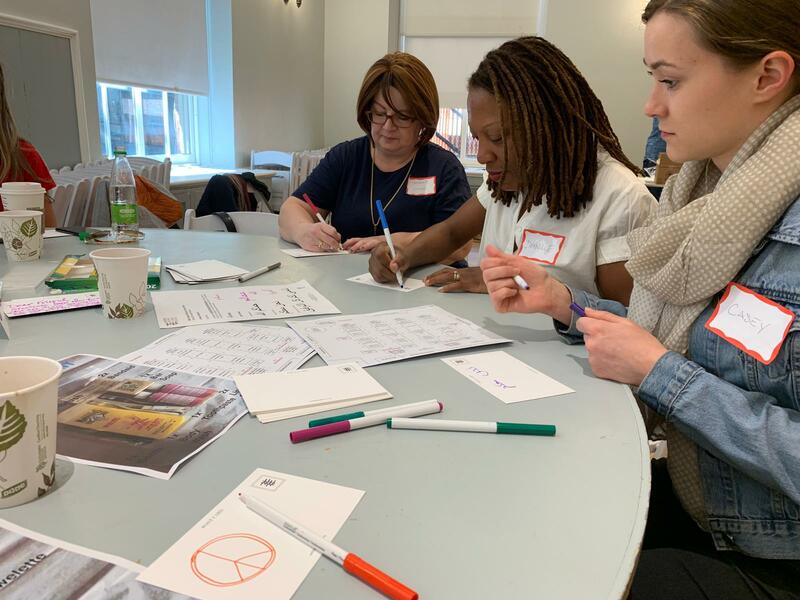 For women facing extreme conditions and years of continued violence, the postcards are meant to remind them that someone in the world is thinking of them and took the time to pack these supplies up for them specifically. We love working with partners like MFA to reach the most vulnerable women and children in the world. Learn more about our Medical Donations Program and get involved today!